The historic Old Taylor Distillery, which closed its doors in the 1970s, is rising from the ashes as Castle & Key Distillery, honoring much of the legacy put into place by its founder, Colonel Taylor. Taylor was a pioneer in many things. He is considered by many to be the father of modern bourbon production as well as the father of bourbon tourism. Nestled in the hills of Woodford County, Kentucky is a limestone castle that once held the most modern distillery in the United States. 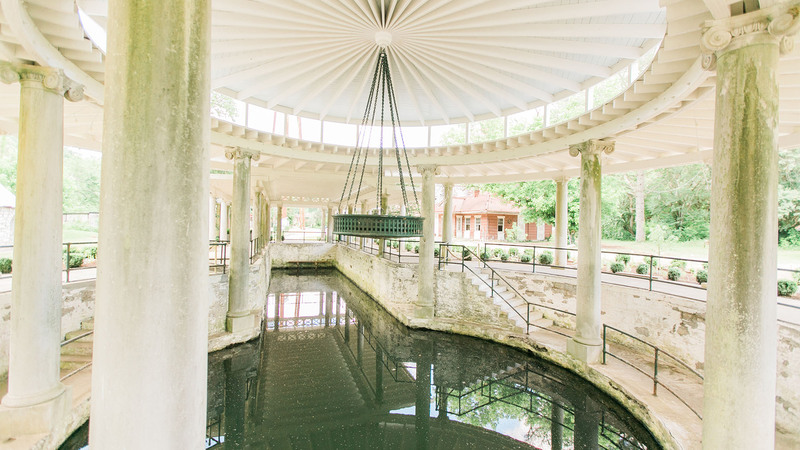 Built by Colonel Edmund Haynes Taylor, Jr. in 1887, the grounds were modeled after some of the finest architecture and landscaping he’d seen in his travels to Europe. There was a sunken and a raised garden, of which the sunken garden still exists today. There was a train station that brought passengers from Frankfort as well as shipped goods in and out of the distillery. There was a key shaped reservoir that held the spring water used for distillation. But the crowned jewel in Taylor’s masterpiece was the castle, where today a plucky group of people are painstakingly restoring distilling operations on the grounds, being careful to honor Colonel Taylor in the process. The reason for building such a beautiful place for distilling bourbon was simple: Taylor wanted to be able to invite people out for the day to enjoy the country setting. He would hold barbecues, picnics, yearly Kentucky Derby parties, and host political and business movers and shakers. Guests would board a train in Frankfort and ride the line that Taylor built right into the middle of the distillery grounds. His hospitality was so well known he was eventually bestowed the title “Master of Hospitality” in 1917. The new owners are honoring this tradition by planning for a Bed and Breakfast on the site as well as a small cabin that will be for rent. Taylor was also on the cutting edge of distillation practices in his day. He’d gotten his start working with Oscar Pepper, a leader in distillery sanitation. His work took him all over the world to study the latest in distilling. He took over a farm distillery in Frankfort, completely modernizing it and renaming it Old Fashioned Copper (today’s Buffalo Trace). After some bad business dealings he moved on to Woodford County to build what would be his finest masterpiece, The Old Taylor Distillery. Taylor was a pioneer in many things. He is considered by many to be the father of modern bourbon production as well as the father of bourbon tourism. He also had his finger on the pulse of whiskey marketing in a way few at the time did. Taylor liked to ship his whiskey in crates in nice looking barrels with brass hoops so they would stand out among the battered barrels at the tavern. And he was instrumental in getting the Bottled in Bond Act passed, one of the first ever consumer protection laws in the United States. After his death distillation at the site halted temporarily. His will stated no distillation should take place after his death, but the new owners continued to produce bourbon anyway. Eventually the quality suffered, there was a brief conversion to ethanol for the war effort, and then the distillery was shuttered in the 1970s, where it would remain abandoned for the next 4 decades. Now the newly renamed Castle & Key Distillery is gearing up to begin distilling operations and open to the public for tours. There have been a number of setbacks, but things are expected to get cranking in the summer of 2017. Already Colonel Taylor’s sunken garden has been restored by notable landscape architect Jon Carloftis. 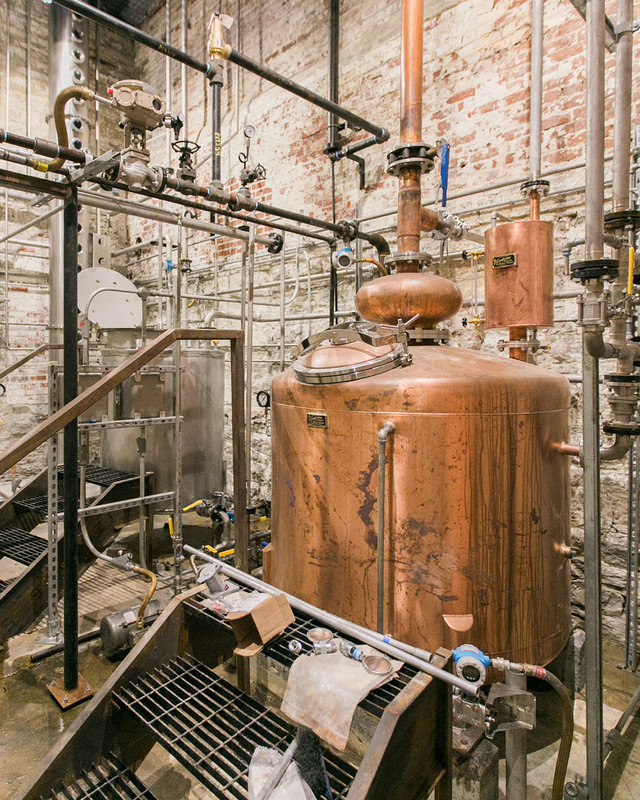 The Vendome Copper still is in place, ready for Master Distiller Marianne Barnes to begin producing bourbon with heirloom white corn and grains grown at a local farm. Stay tuned to Castle & Key’s website and Facebook Page for updates on the grand opening. Maggie Kimberl is a Louisville-based writer who has contributed to a number of publications in the Central Kentucky area, including Kentucky for Kentucky in Lexington and BourbonVeach.com in Louisville. 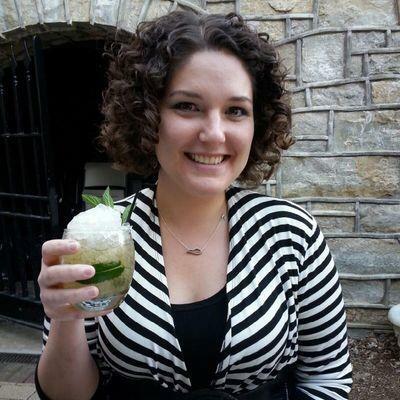 She currently writes for the Alcohol Professor, covering mostly bourbon and whiskey news. You can check out her other work at here. Photos Courtesy of Maggie. How one Lexington farm continues to rescue and improve the lives of famed thoroughbreds.